With all of the excitement about Apple’s latest installment of the iPhone it takes me back to perhaps one of the most successful brand experiments of my lifetime, and that is the branding of Michael Jackson. For those who are too young to remember Michael Jackson’s evolution into the King of Pop, it was nothing short of genius. While just about everyone enjoyed his music and watching him perform that in and of itself is not what elevated him to that rare space that only the elite of the elite find themselves in terms of super stardom. Jackson understood very well how to portray his image in the public eye in order to create the perception that he was something different, something special, something so unique that he deserved special consideration. During his rise, you didn’t see this self-proclaimed “King of Pop” out there on the talk show circuit promoting his next album, in fact he rarely made any appearances at all of this nature. When Jackson came to a city, you would see news footage of the mayhem created by his mere presence while he was surrounded not by a security detail, but entire an entire force of uniformed police officers. His public appearances were so rare that even a sighting of just him waiving his rhinestone encrusted-gloved hand from behind the tinted glass of a limousine was enough to send crowds into a frenzy. And while there were other performers whose music you may have liked more, none of them came remotely close to creating the reaction in fans that Michael Jackson did. People would literally pass out in the street from just being within proximity of his greatness. Michael created a persona for his brand that equated him with royalty. Which brings me to Apple. What Apple has accomplished as a company has been nothing less than amazing. The thing that no one talks about however is that however clever or innovative we might think Apple is as a company, just as much accolade should be given to their marketing. The position where they find themselves today owes a great deal to their relentless commitment to systematic segmentation, targeting, positioning and messaging which all tie back to a well defined, well understood narrative for what the Apple brand is. While Apple users are absolutely enthralled with the entire user experience that Apple delivers across all of its products, I would argue that this alone is not sufficient to have created the loyalty and passion that Apple users have towards the brand. Like Michael Jackson, Apple understands very well how their brand needs to be portrayed in the public eye to create the perception that it is something different, something special, something so unique that it deserves special consideration. How many of Apple’s competitors enjoy what seems like endless news coverage that Apple gets every time a new product is released, or lines forming for miles to buy the latest product, or be given its own product category instead of being lumped together with its competitors (e.g. there’s the iPhone and then there are smart phones)? While Apple might be a great product, or not, Apple has elevated to that rare space of Super Stardom, where, in the case of Apple, nobody else exists. The Art of Controlling Your Brand Through the Media. Let’s look at some similarities between some of Jackson’s branding strategies and those of Apple. First, Jackson was an absolute master of using the media, particularly news media, to proliferate his brand. The public has always had this perception that just because a story is covered in the news, that makes it newsworthy, meaning it has societal relevance that people in general need to know, or at least want to know about. Michael Jackson during his meteoric rise; used the media like no other before him to further engrain in the mind of the public that what he did and said mattered. Apple has taken this practice to levels where Jackson could have only dreamed. Apple has incorporated the news media so successfully into its marketing that it almost appears that the news is just another branch of the Apple PR machine. Just think, where did you first hear about the new iPhone? Was it from an Apple advertisement or was it on the news? Your first glimpse of the iPhone hysteria was most likely the news footage of the Apple stores showing the long lines of people camping out to get the new iPhone. How did you hear about these lines? Apple has been masterful at understanding how to leverage the ways in which the public relies on the news for “newsworthy information” and use it to keep the brand elevated above competitors in a way that no competitors could ever make happen. The notion that the public at large is excited and frenzied over a brand creates a sort of rationalization in consumers’ minds that this brand must be special and that we need to be a part of it if only to, at a minimum, maintain some sort of relevance to what is going on around us. When branding Super Stardom, less is SO much more! Next, Jackson was notoriously reclusive. Psychology tells us that we covet that which we perceive to be scarce or rare. Jackson’s rise was before social media, cell phone video and even the popularity of the Internet, so it was a little easier back then to maintain control of who saw what, but still he took it to new levels. This created demand and he understood this better than any other. Control access to your brand and you can how people covet it, experience it and ultimately perceive it. Now let’s look at Apple. Where does Apple do product releases or showcase new technology? It certainly isn’t the annual CES (Consumer Electronics Show) conference where everyone else announces their products. No, it’s at the Apple press conference where Apple controls the entire experience. And, assuming you only rely on getting information from the news or you want to believe you are a true Apple loyalist, where is the only place you can get the new iPhone? The Apple Store of course! Why else would anyone camp out in front of the store for weeks to get one? Yes, I know there are other outlets to get the iPhone where you don’t have to wait at all, but what Apple loyalist would ever buy an iPhone from an “outlet” when they can buy it from the Apple store? The idea is that Apple understands that in order to create the demand that is associated with iconic brands, you have to create a perception that there are only specific, limited opportunities to access the brand and that the best place to get the true brand experience is within the controlled environment that you create for the end user. Are they wrong? Was Michael Jackson wrong? 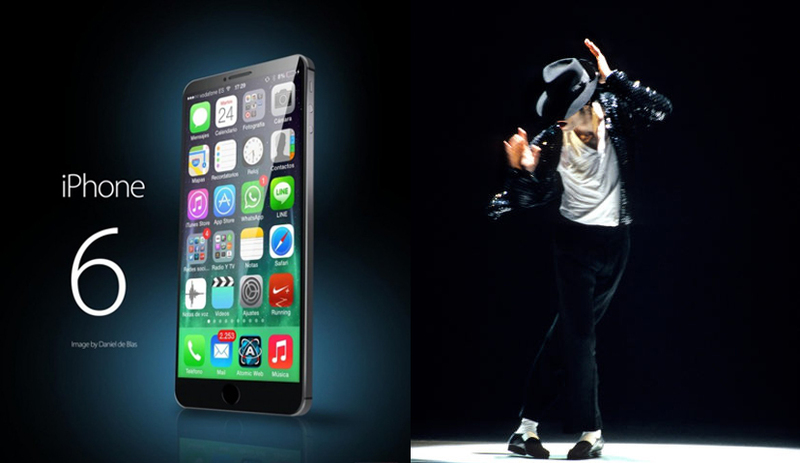 Well if you believe that the iPhone could have done just as well by just concentrating on making really good smart phones and that Michael Jackson would have been as big by focusing just on making really good music and being a good performer then perhaps their efforts in branding were wasted. However looking at those who do make really good cell phones, that can do things that the iPhone can’t, and those music artists that make really good music why don’t they garner the same public reaction?